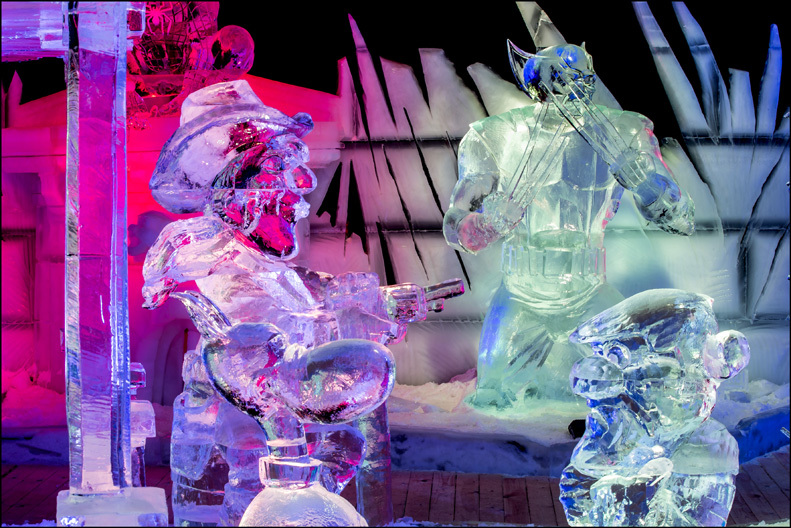 Tintin characters will be allowed free entry to the ice-sculpture festival. Even ‘Snowies’ will be welcome. Winter has well and truly arrived in Brussels, with temperatures recorded on the Paleizenplein/Place des Palais ranging from +10°C to – 12°C! This is all down to Brussels Ice Magic. Until 9 February, in an eco-thermal pavilion 1100 m² in size, visitors had the chance to discover a fantasy world entirely devoted to comic strips. 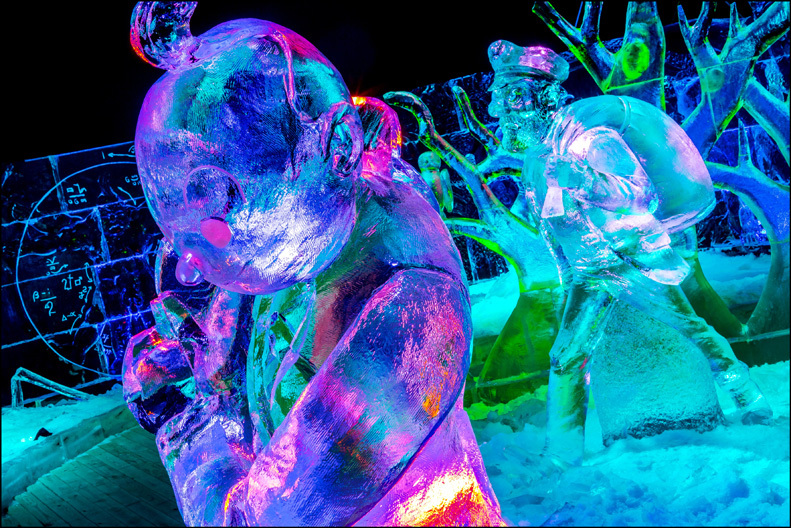 420 tons of ice has been sculpted by 25 international artists into the most extraordinary and well-known comic heroes from both Belgium and abroad. More than 60,000 visitors have so far already been able to enjoy a unique, winter atmosphere. A striking arrangement of comic strip characters and scenes, with some of them larger than others. Certain ice structures reach up to 7.5 meters in height, including among others Marlinspike Hall, where Tintin and his four-legged friend ‘Snowy’ have been depicted in ice. At the weekend of 24 January, it is the Smurfs who come under the spotlight. Brussels Ice Magic is open every day uninterrupted from 11 am to 10 pm (11 pm on Fridays and Saturdays), until 9 February 2014. Warm clothing is recommended for Brussels Ice Magic (-6°C). Brussels Ice Magic is accessible for persons with limited mobility. Great! Which movie was it? We enjoyed that one a lot. Good to hear the real fans thought it was good, too! We enjoyed it, but we are not very knowledgeable when it comes to Tin Tin. Previous page Previous post: Search the best deal and let Findmystay ‘Beat It’!